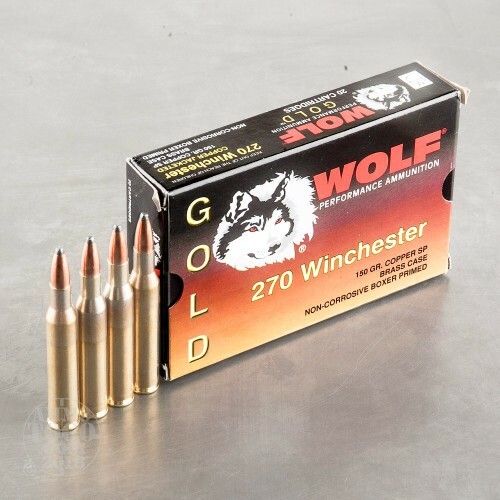 This is .270 Wolf Gold 150gr. 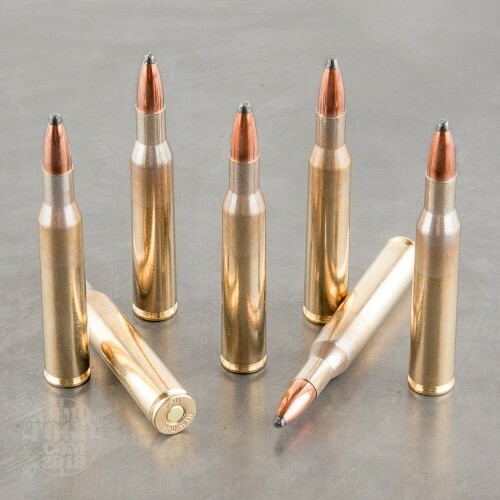 Copper Soft Point Ammo. 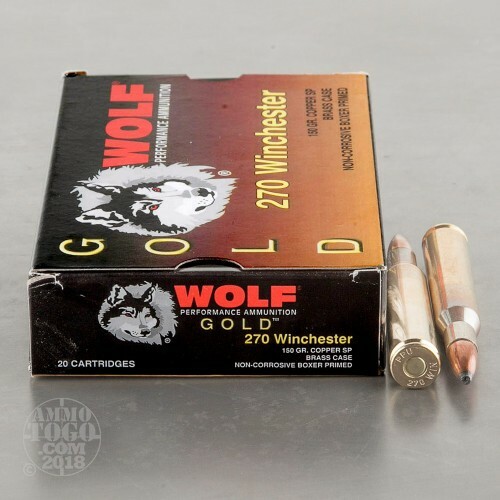 This Wolf ammo has reloadable brass cases and is boxer primed. It is made to SAAMI specifications. This ammo is clean burning and is reliable - it is high performance ammo at affordable prices. This soft point load delivers excellent accuracy, penetration and expansion for hunting. 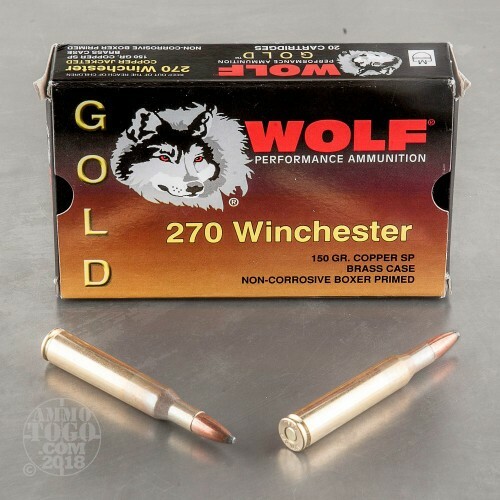 This ammo comes packed in 20 round boxes.